In a Nutshell: While credit unions typically provide more dedicated customer service to members on an individual basis, few embed themselves in their communities like Family Security Credit Union. Since 1953, FSCU has been dedicated to giving back to the more than 20 Alabama counties it serves through charitable donations and volunteerism, including forming partnerships with local charities to host fundraisers and provide financial assistance to residents in need. And, beyond its local efforts, FSCU supports leading national organizations, like the American Cancer Society, to improve the area’s overall health and well-being. For FSCU’s year-round support of the communities it serves, we’ve named the institution our Editor’s Choice™ Award winner for Community Involvement in Alabama. Returning to school after the summer break can be difficult for children. After more than two months of freedom, they can feel some serious dread ahead of starting a new year. Those long August afternoons at the end of the summer can also be a time for concern for parents who aren’t financially prepared for the expenses involved with sending a child back to the classroom. After purchasing clothes, school supplies, food for lunches, and other necessities, families can find themselves several hundred dollars in the hole every August. While many stores offer sales and bargains for back-to-school shoppers, the costs can still quickly balloon out of control. 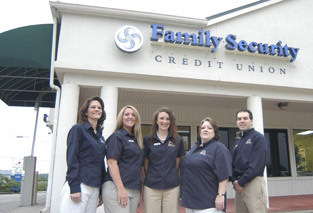 Family Security Credit Union (FSCU) opened its doors to Decatur, Alabama, in 1953 and has since expanded its reach to more than 20 counties in the state. Over the last 65 years, the institution has seen many children go back to school and aided just as many parents in preparing for the expense. This year, FSCU rolled its school supply donation drive into a Back to School loan that helps all of its members support families that need financial assistance for school shopping. “If anyone comes into our branch and takes out a personal loan for any reason, the credit union will purchase $20 worth of supplies for a school in the community,” said Vicki Barber-King, Assistant Vice President of Marketing and Community Relations at FSCU. Barber-King said that FSCU’s total donation eclipsed $10,000 thanks to the promotion. And the drive is just one of the many ways FSCU looks to enrich the communities it serves. For FSCU’s year-round support of the communities it serves, we’ve named the institution our Editor’s Choice™ Award winner for Community Involvement. FSCU doesn’t limit its community involvement to the organization’s 21 branches across Alabama. Instead, the credit union and its employees make regular contributions of their time and talents to community events that promote worthy causes. For example, when school bus drivers in Moulton, Alabama, reported that their buses got incredibly hot while the children and driver had no access to water, FSCU kick-started a water donation drive and vowed to match whatever contributions of bottled water it received. Members and employees donated bottled water and local businesses and supermarkets chipped in dozens of cases each. By the end of the drive, the credit union had collected enough water to keep the children and drivers in the city hydrated for the entire school year. In October, FSCU will be hosting its seventh annual Golf Fore a Cure tournament to support the American Cancer Society. Every year, the credit union covers the entire cost of the tournament, including course fees, staffing, and prizes and donates 100% of its proceeds to the nonprofit charity. Previous years’ tournaments raised as much as $15,000 in a single day for the American Cancer Society. Barber-King noted that the credit union’s employees look forward to the golf tournament because it allows them a chance to interact with community members and raise money for a worthy cause. In addition to the tournament, FSCU employees attend and participate in other community events, like the annual Relay for Life event to support cancer research. The group has also hosted 5K runs to benefit Cystic Fibrosis research, participated in the March of Dimes Walk for Babies as well as a walk for Autism research, assisted with Habitat for Humanity home builds, and answered phones during the St. Jude Telethon. FSCU doesn’t limit its employee participation to the events it hosts and sponsors. Each member of the credit union’s staff has a say in the causes the institution supports. Through the credit union’s partnership with Better Together of Alabama, a 501(c)(3) public charity, employees can nominate families who are in financial straits to receive assistance. Better Together was founded by FSCU employees and members in 2015 to respond to the financial needs that arise from unexpected hardships or catastrophic emergencies experienced by employees and their families, members of the credit union, or other community members not related to FSCU. In addition to providing support and assistance to those experiencing hardships, Better Together’s mission is also to contribute to charities that strive to make the world a better place. “The donations help support the financial needs of individuals and families who can really use not only financial support but the knowledge that someone cares about them and their situation,” Barber-King said. Better Together of Alabama distributes unused funds donated by FSCU employees to local charities recommended by employees. Since its founding in 1953, FSCU has remained steadfast in its commitment to providing its members with quality banking products and services while working to make the communities it serves a better place for all. 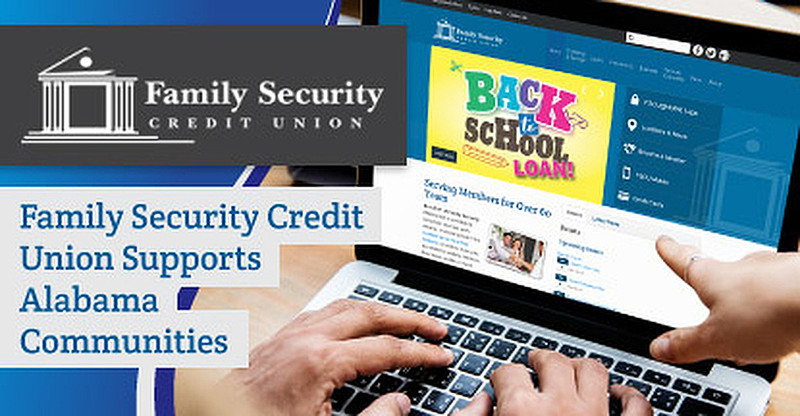 FSCU extends membership to anyone who lives, works, worships or attends school anywhere within the more than 20 counties where it has branches. Additionally, employees and retirees of Ruby Tuesday, Specialty Restaurant Group, and the Compass Group family of companies as well as their family members are also eligible for membership at the credit union. 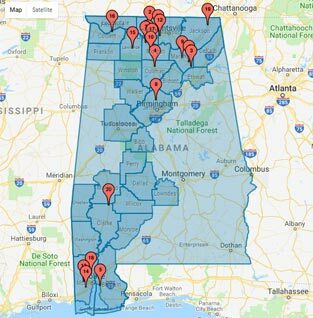 However, the credit union is dedicated to providing aid and even financial literacy education to members and non-members alike in an effort to bolster the greater Alabama communities it serves and improve outcomes for everyone.